Imagine a wedding ceremony during which the groom embraces the bride then pulls two joints out of his pocket. The wedding officiant says, “You may now smoke with the bride,” and provides a light to the happy pair, who start their married life with a giant puff of their favourite cannabis strain. Scenarios like this are playing out with increasing frequency in US states that have already legalized cannabis for recreational use. In fact, canna-weddings are a booming business in much of the country. Event planners, retailers, bakers, and florists are all involved in the niche industry. Many of them even attend special cannabis wedding expos. Now that adult-use cannabis is legal across Canada, the trend is starting here. Calgary-based Lifted Cannabis Weddings opened for business a year ago. Owner Laureen Cameron, who has been an event planner for a decade, is now helping a growing number of Canadian couples plan canna-weddings. She says that, in some ways, a canna-wedding isn’t that different from a conventional one. “The theme of the wedding is still going be the same, the people are still getting married for all the same reasons,” says Cameron. But there are some differences. 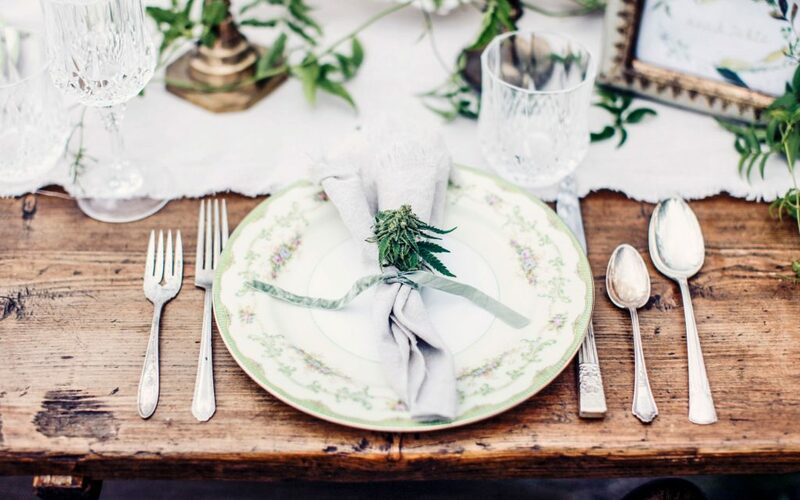 At a canna-wedding, cannabis can play a role in the spiritual aspect of the event, with couples smoking up during the ceremony itself, and it can be handed out as party favours. Of course, cannabis is most often used where you would most expect it to be—at the reception. Some couples offer cannabis at their weddings the way other couples offer alcohol. Some canna-weddings feature special “bud bars,” where budtenders provide strains to guests, advise them about their choices and roll their joints. South of the border, the scope of cannabis use at canna-weddings is expanding at a rapid pace. In fact, one American couple recently included $8,000 worth of cannabis at their nuptials in California. 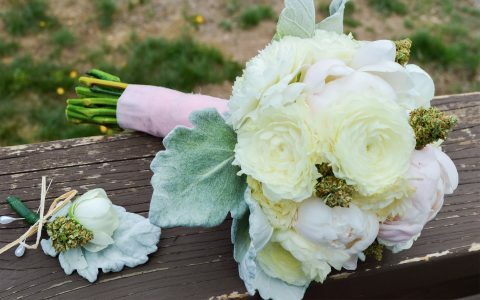 The bridesmaids’ bouquets were decorated with cannabis buds and flower and the ushers sported boutonnieres featuring cannabis leaves and buds. Use is a little more modest at Canadian weddings. “Right now, cannabis is used primarily for the receptions and as party favours,” says Cameron. But she adds that is likely to change as canna-weddings become more popular here. “Educate your guests. Let them know what they are choosing to do when they use cannabis,” says Cameron. She adds that, if many of the wedding guests are new to cannabis, it might be a good idea to have station where those who are interested can go rather than to hand cannabis to every guest as a party favour. Couples who are seriously looking into planning canna-weddings could attend Canadian Cannabis Wedding Expo in Calgary in March. Traditional wedding planners and canna-wedding specialists will be on hand as will cannabis retailers.